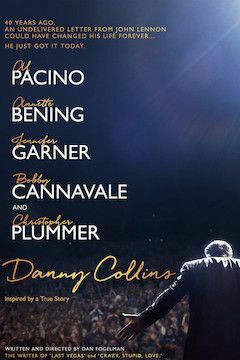 Decades after getting his first taste of big-time fame, aging ‘70s rock star Danny Collins (Pacino) is still touring and living hard. When his manager (Plummer) hands over an undelivered letter written to him by John Lennon 40 years earlier, it flips a switch in Danny’s brain, and he becomes intent on making some major life changes. Most importantly, he sets out to make a connection with the grown son he’s never met and get to know him and his family. Inspired by a true story.